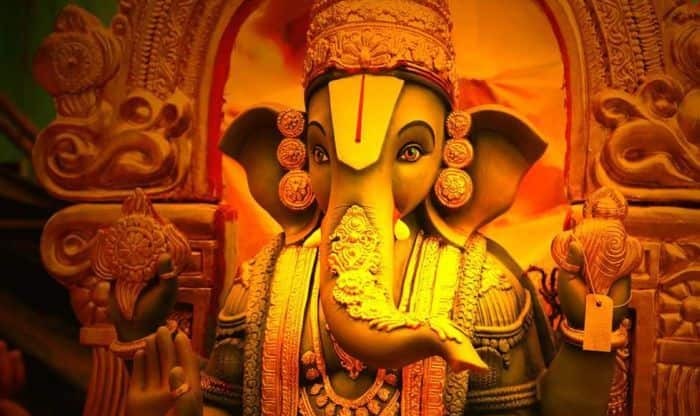 New Delhi, April 3: Sankashti Chaturthi, popularly known as Sankata Hara Chaturthi, is dedicated to Lord Ganesha and it assumes special importance if it falls on a Tuesday in the Bhadrapada month and then it goes by the name of Angaraki Chaturthi. Today is one such Tuesday when devotees of Lord Ganesha will celebrate Angaraki Chaturthi. Legend has it that Angarak, the son of Mother Earth and Sage Bharadwaj and a great devotee of the Elephant God, worshipped Lord Ganesha and sought his blessings. It was on Magh Krishna Chaturthi, which happened to be on Tuesday, that Lord Ganesha blessed him and asked to express his wish. Angarak wished that he be associated with his Lord’s name forever. Lord Ganesha thereafter granted his follower’s wish and announced that whoever worshipped Him on Angaraki Chaturthi will be granted whatever he wished for. Since then, Angarak Chaturthi is being celebrated. The Puja tithi for Angaraki Chaturthi begins at 4:43 pm on April 3 and will end at 5:32 pm on April 4. The moonrise timing on Sankashti Day is at 9:27 pm. Devotees are advised to take bath early in the morning and wear fresh clothes and then light a lamp and incense stick. Then chant the Ganapati Moola Mantra and offer flowers, fruits, sweets, betel nuts and leaves to the Lord. Meditate and seek Lord Ganesha’s blessings. Once the puja gets over, distribute the offerings among family and friends. Devotees observe strict fast from morning till evening on this auspicious day. The fast is broken once the moon sighting is done and puja is performed at night. It is also believed that wearing red colour clothes would brings in good luck as Angarki signifies red hot charcoal. Since Lord Ganesha is also known as the remover of obstacles, it is believed that praying to the Lord on Angarki Sankashti would remove obstacles from one’s path.